We are undisputed manufacturer, supplier and exporter of Web Based Discreet Effluent Sampler in Vadodara, Gujarat, India. IU802 APD GPRS is a special highly sophisticated micro controller card and associated Bluetooth programming software and GPRS web based Monitoring and control software gives excellent programming flexibility for timing, volume of sample, samples per bottle, no of bottles ( 1 to 24) , sampling cycle time span, uniform, non-uniform and flow proportional (optionally) mode sampling with error code display for invalid parameter entry. The unit can be used for discrete as well as composite sampling. One can also monitor and control pumps from remote location with password protected GPRS based software. We can also locket the Samplers on the field on google map for more convenience of maintenance. Peristaltic pump is designed to collect samples from the depth of 25 feet without priming. Maintenance is nearly nil except changing peristaltic tube, a small piece of flexible rubber tube, which can be changed within a minute even by an unskilled person when required. Pump can run dry for hours without any risk to the equipment. Pump is fabricated from aluminum, rotor from stainless steel and rollers from polypropylene which has high resistance to almost all chemicals. Programmable automatic post and pre-purging ensures totally fresh sample every time and avoid collection of dead sample trapped in suction tube. We are one of the widely acclaimed manufacturers and exporters of Effluent Sampler. 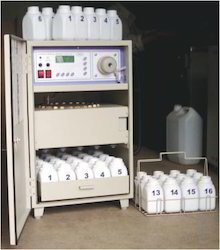 The offered effluent sampler is highly acclaimed for providing multiple sampling modes. 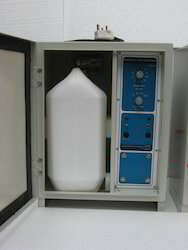 Our exported effluent sampler is designed to collect the discrete samples at pre-determined intervals. The offered effluent sampler is available at very reasonable rates. We feel proud to introduce ourselves as one of the well-known manufacturers and exporters of Wastewater Sampling System. The offered wastewater sampling system is very commonly used for collecting the discrete samples of waste water. Our exported wastewater sampling system is capable of facilitating the reduction of pollution level in effluent systems. We are one of the well-known manufacturers and exporters of Multi Point Sampling System. 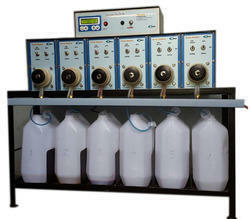 The offered multipoint sampling system is widely used for the sample collection of waste water. Our exported multipoint sampling system consists of sample container, solenoid valves and sampling pump. 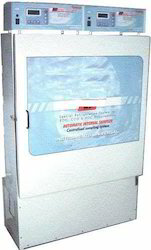 The offered multipoint sampling system is available at affordable market selling rates. 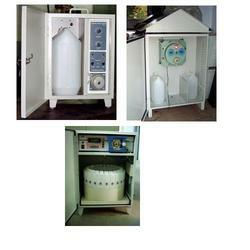 We are one of the leading manufacturers and exporters of Water Effluent Sampler. The offered water effluent sampler is a composite sampler which is capable of collecting the samples from open trench and channels. Our supplied water effluent sampler is highly acclaimed and appreciated by the clients, owing to the fire proof construct and easy operation. Specially designed for collecting effluent / wastewater samples in more than one bottle at lower maintenance cost. Easy maintenance as minimal mechanical assembly required. Easy to identify, collecting and resetting bottles. Lower cost than imported samplers. Spare pars available fast and at lower cost. No of Bottles are as per client requirement. Real time base sampling collection. Option for uniform and non-uniform sampling. Instrument Universal's sequential effluent sampler is very easy to install, program and operate.